The Lloyd District began as the dream of California oilman and real estate developer, Ralph Lloyd (1875-1953). Lloyd began investing in the Holladay Park neighborhood in 1910, and by the 1920s he developed a grand scheme of real estate development that would create a new “downtown” in NE Portland. His vision included a major retail center surrounded by office towers and apartment buildings. He only managed to build a few modest office buildings and a Sears Store before the Depression and WWII put his plans on hold. It was his two daughters who realized his dream with the opening of the Lloyd Center in 1960. Over the past twenty years, a number of office towers, motels, senior housing projects and a major sports arena were built in what we know today as the Lloyd District. Many of these buildings reflect the modernist aesthetic of the mid-20th century. Our tour starts in one of the finest commercial designs by the Portland office of Skidmore, Owings and Merrill; the Lloyd Plaza/Concorde Career College (1963). We’ll then walk through the Lloyd District viewing several other buildings from that time period concluding the tour at the ExecuLodge/Eastlund Hotel (1963) with social time at the Eastlund’s Altabira Restaurant after the tour. 5- BPA Building (1985) curved facade on the south side of BPA "campus"
8- 729 NE Oregon (1947) east side "downtown". 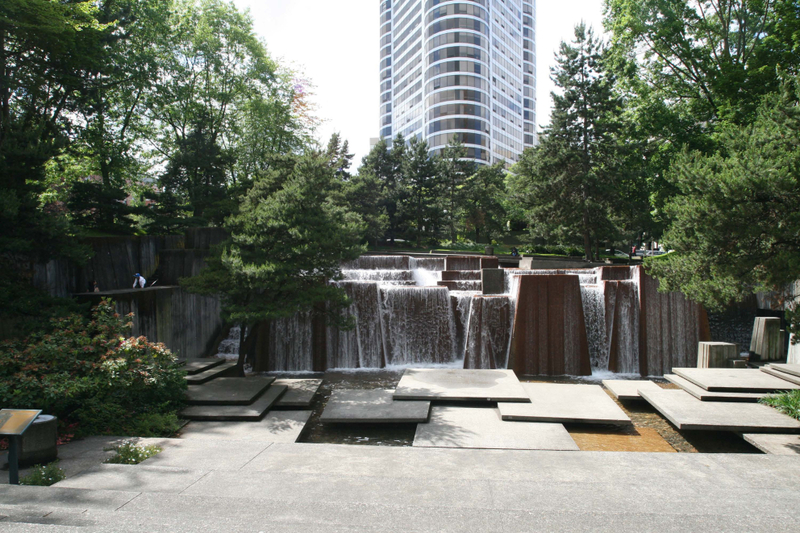 Follow Docomomo US/Oregon on Facebook, Instagram, and Twitter for updates.